Preheat oven to 180 C and grease four muffin tins with cooking spray. Line the bases with some baking paper. Steam, microwave or boil broccoli until tender; drain and cool slightly. Spray a non stick pan with cooking spray and sauté onions over medium heat for two minutes. Mix eggs, chilli flakes and grated cheese together. Stir through onions and cooled broccoli. 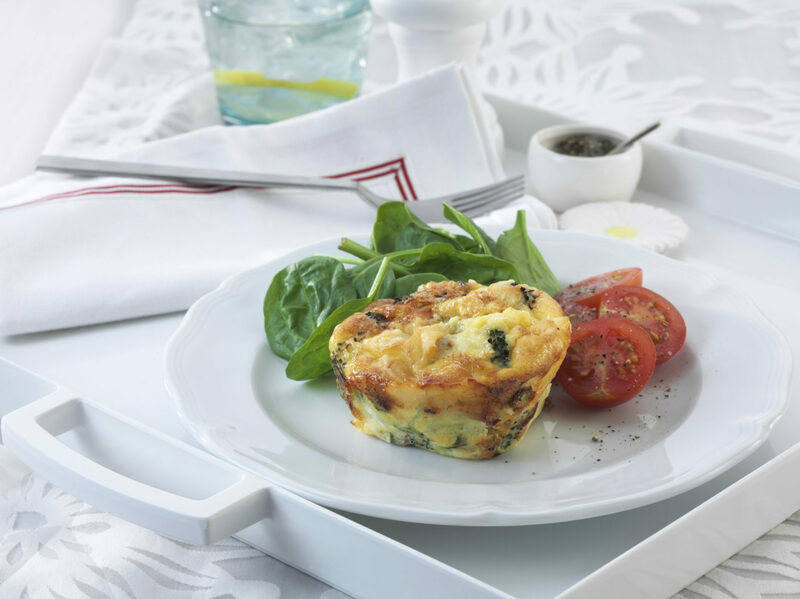 Spoon frittata mixture evenly between the muffin tins and bake for 30 minutes, or until set and golden on top. Stand in the tin for five minutes before removing. Serve warm with a fresh tossed salad.